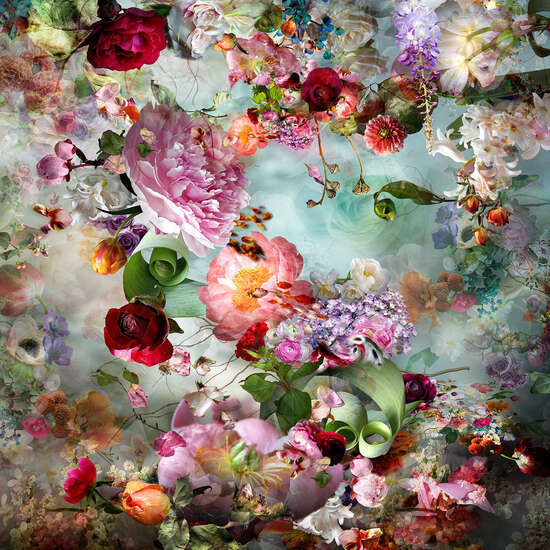 As if caught in a whirlpool, our gaze is drawn ever deeper into the picturesque vortex of colours and shapes that exerts an almost hypnotic effect. 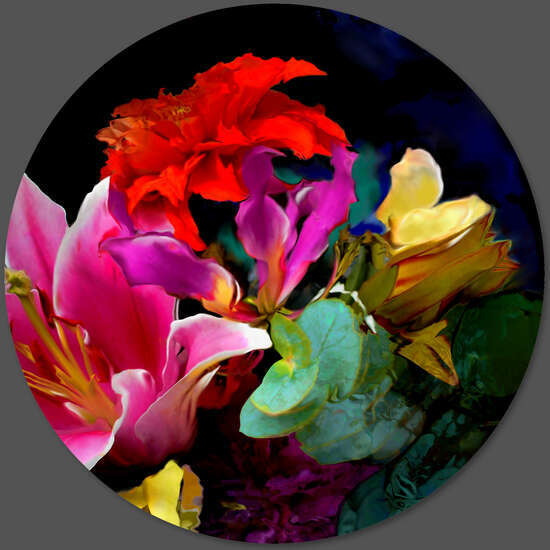 Lilies, tulips and dahlias float on the black background like a sea of paradisiacal plants, seemingly detached from time and space. 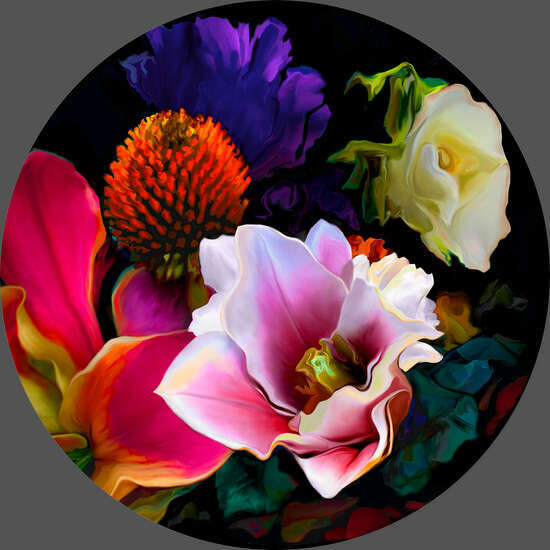 René Twigge’s floral symphonies are more than mere tributes to the beauty of nature, however; they are an examination of the visual potential of botanical forms, realised through the use of digital technology. 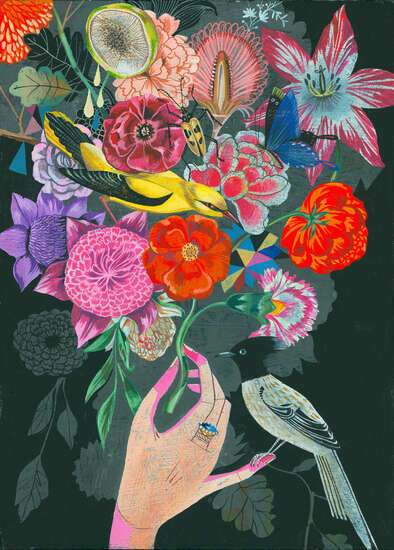 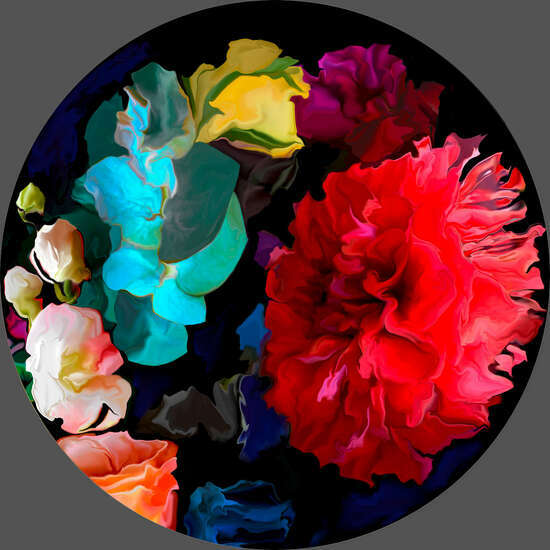 The play with contrasts and the translation of objects from natural into digital are integral parts of Twigge’s works, which are concentrically composed around the central image of a flower. 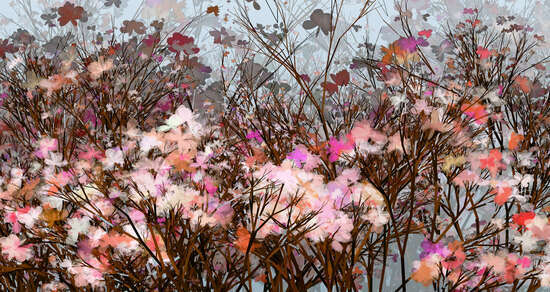 The natural appearance of these constructed images belies the complex process of creation. 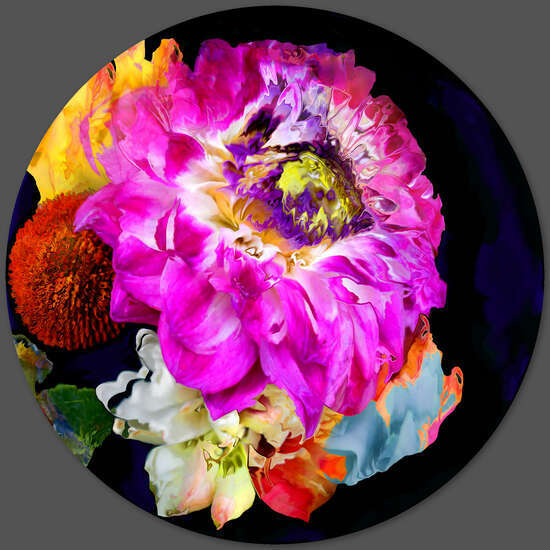 Twigge photographs flowers in the wild then reassembles them on a computer in overlapping layers of colour and shape, completely rearranging them. 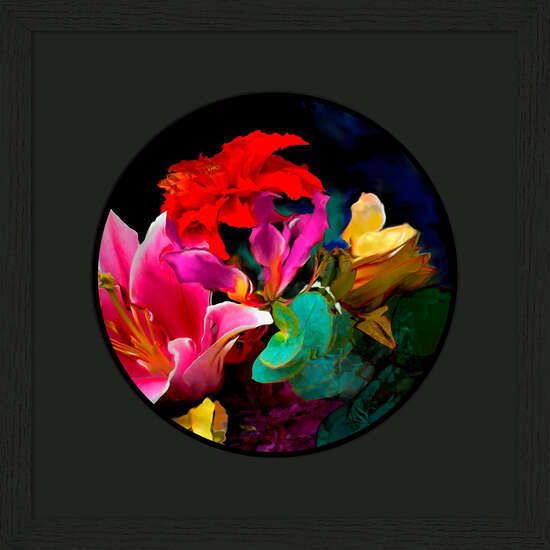 The bright colours of the petals contrast strongly with the dark background, lending the work additional dramatic appeal. 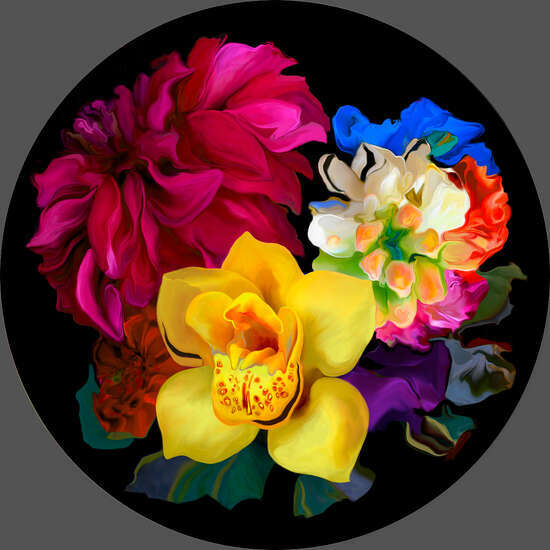 What results is a representation of the flowers that feels natural, but is not quite real; an idealized form of reality that brings order to the chaos of nature through digital manipulation. 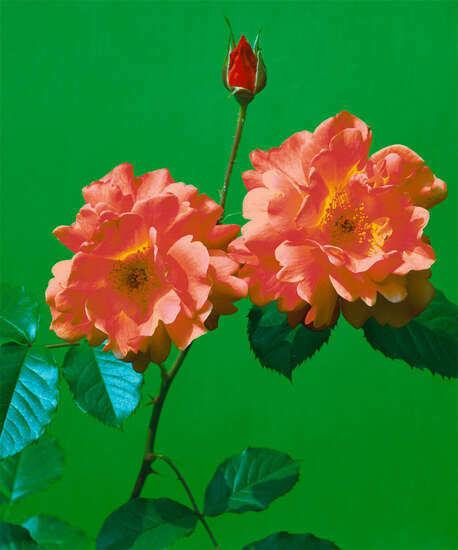 Nature – in all its glory, growth and decay, in its different colours and forms – is the central theme of René Twigge’s oeuvre. 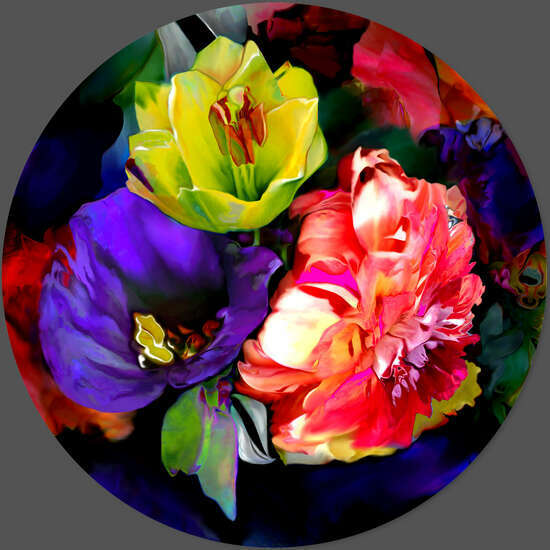 The Australian-based artist has been fascinated by the symbiotic relationship of technology and the environment since studying Fine Arts at the Central University of Technology in South Africa. 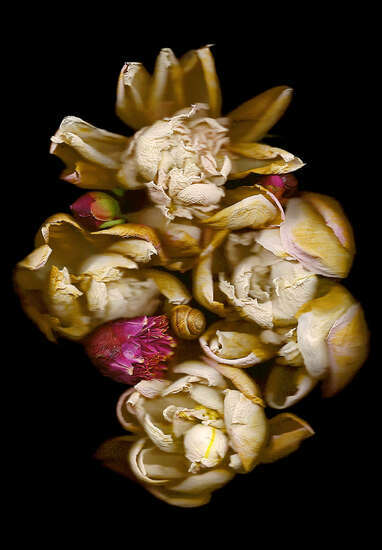 Since 2008, her work has been regularly featured in solo and group exhibitions in locations such as Australia, South Africa, and even Singapore.